The Arapgir region was rich in song and dance. 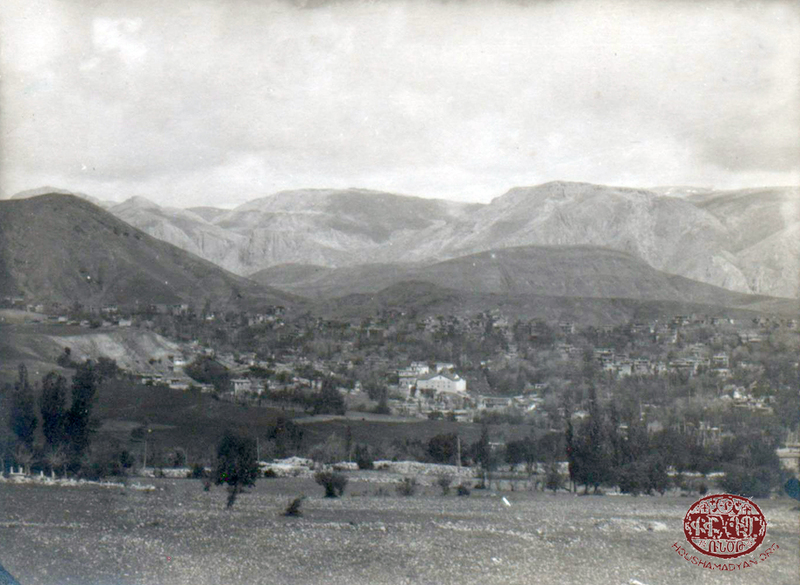 While the town of Arapgir was known for its trades and commerce, it also had a vibrant cultural life. 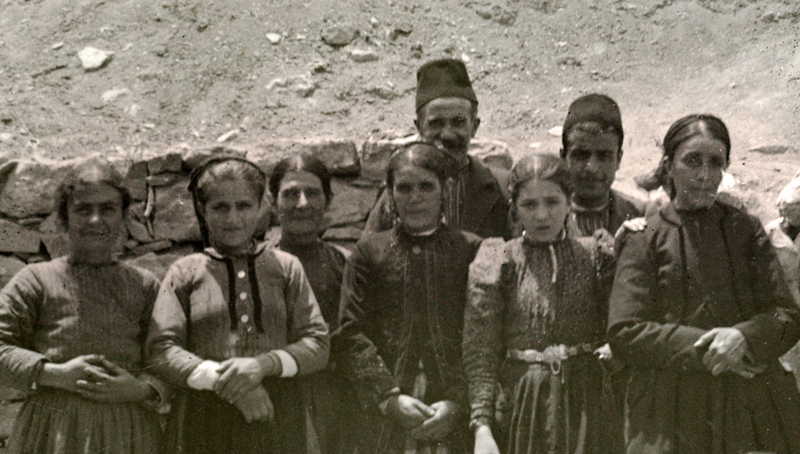 Armenian residents of the town were an energetic lot who never turned down an opportunity to make merry, to sing and dance. Couples would take advantage of the Paregentan holiday to meet, flirt, and sing songs of love. Also having fastened a belt on her narrow waist. There were numerous other unique traditions besides the holidays. One of them was Mama Chttig. It was a ritual during which people sang to God asking for rain after a long drought. What does mama chttig want? Regarding the music and song of Arapgir natives, I must confess that only a few songs have reached us. Only the poetic portions of many songs have survived. Given that folksongs are an oral art form, many examples have naturally been lost. When it comes to preserving the folksongs, history, ethnography and aspects of daily life of the region, the following Arapgir natives have contributed much – Antranig Poladian, Avedis Mesouments and Sarkis Pakhdigian. In Poladian’s History of Armenian Arapgir, original folk and bard songs written down and reworked by Avedis Mesouments appear. Here are a few of them. [unclear] I would have painted. To look day and night. To tightly, tightly hug you. A beautiful love song. The young man is willing to wait, with longing and patience, so that one day he will win the hand of his beloved. The folksong ‘A rose also grew in Arapgir’, transcribed by Mesouments, depicts the agony of an unlucky soul. And when you come from the bath, let me love your sweet, sweet fragrance. This amusing song has its own history. It is said that one day, in the Almasegan bath, fire, and smoke flew out of the furnace towards the bathers and the women, without wasting time, ran out in terror. Here’s one verse regarding that episode. Be a fertile and radiant faced dear to us. This is a very emotional émigré song. The love song of the unlucky émigré is brilliantly expressed in the lyrics and music. The magpie also calls out inshallah (god willing) it's a good news. The post comes tomorrow bringing news. From crying, curtains are hung from my eyes. The caravan comes, what silk fabrics does it carry? There are many seas and mountains between us. This world is worthless. We are destined to die. Send a drop of water to extinguish my fire. Roses have opened, the rehan has blossomed. The man has seen the eyes of the dear. Hand in hand, he/she has serenely come. 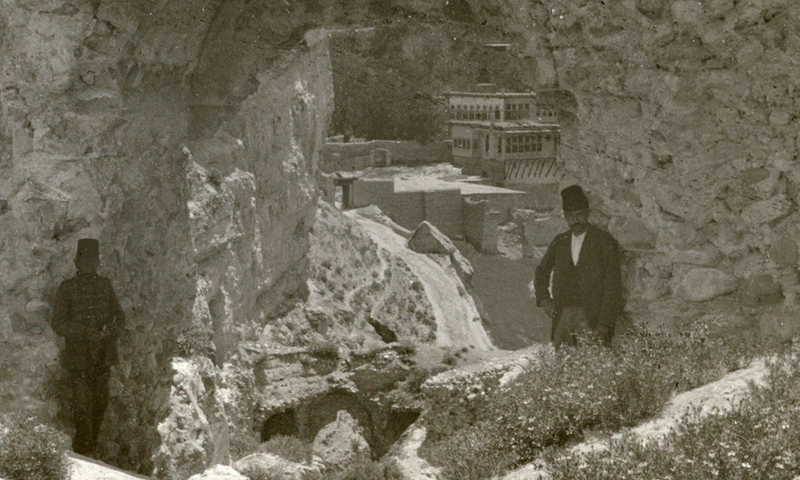 Mihran Toumajan, a student of Gomidas, also transcribed the folksongs of Arapgir. Toumajan was a master at uncovering and writing down folksongs, a skill he inherited from his teacher. 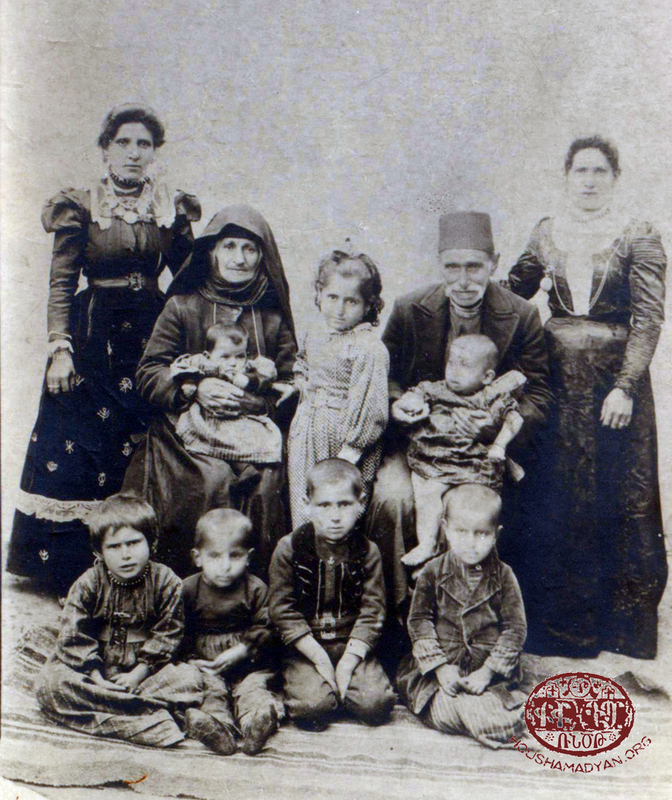 He transcribed the songs directly from Arapgir natives – H. Djavayian, Hovhannes Mamasian, Mrs. Mamasian, and Diran Zorebanian.Toumajan lived in the United States as of 1923. 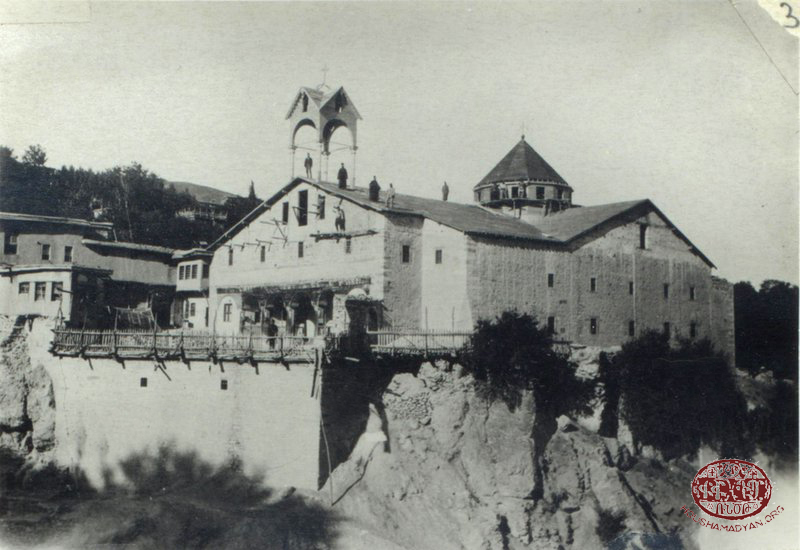 Many Armenians from Arapgir also found refuge there after 1915. 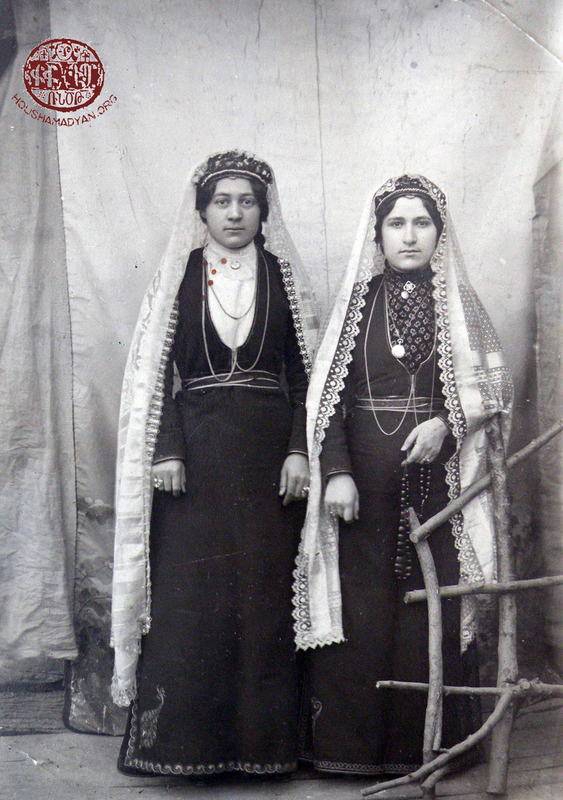 The songs transcribed from Arapgir native singers were the songs and dance songs displaying the traditional mores and mannerisms of western Armenians. They are diverse in content, their melodic structure is interesting, and the emotional range extensive. Given their genres and poetic themes, we can say that the songs are varied. They are wedding songs, songs for rituals, and songs of love, especially the manis (oriental folk song), dance songs, laments and songs of exile. They play a saz at our door. The fringes resemble a crown. Presented below are examples of songs and dance tunes whose melodies as well as sometiems lyrics represent instances of city life. 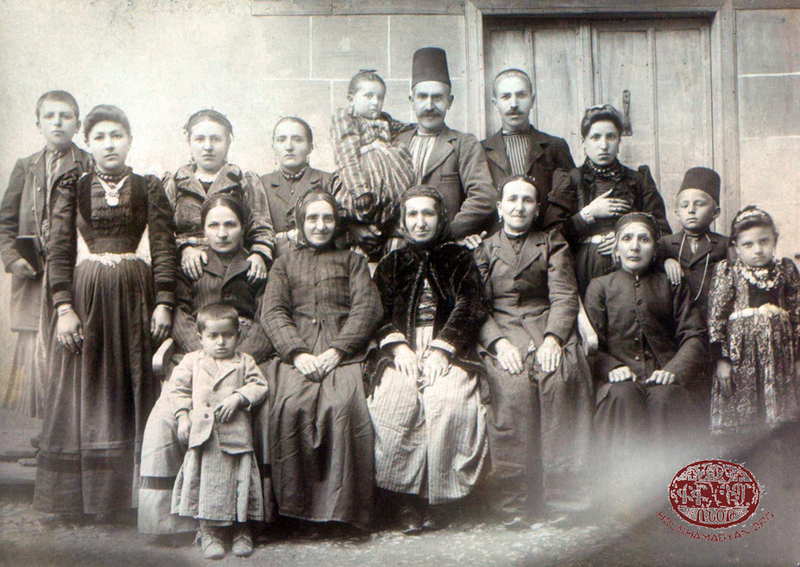 These songs are accessible to all segments of society; Armenians, Turks, the rich and the poor. He could do without a monkey too . I won’t care any more / I won’t attend anything else . Are you gently pushing a donkey at the sides of the roof, my boy? It goes to see its betrothed. They have a fine skin. 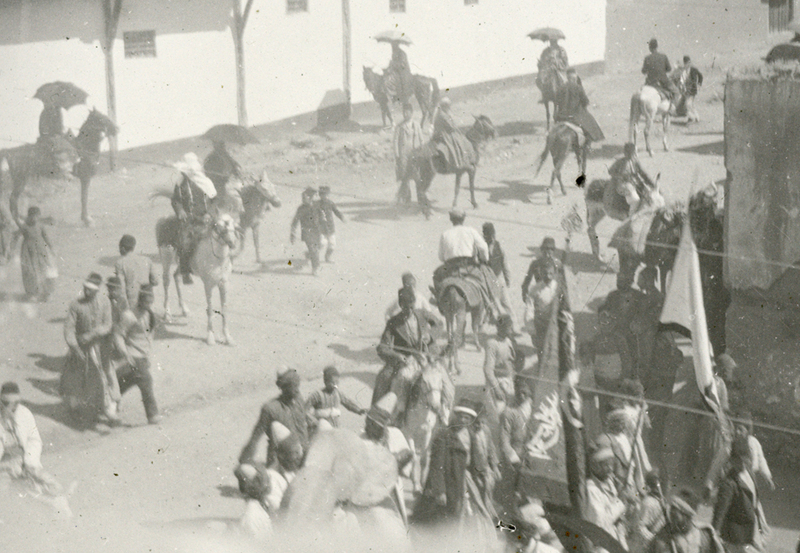 The theme of emigration has always been present in the songs of emigrants from Arapgir. Due to economic hardships and a harsh local taxation system, emigration from Arapgir was widespread and this theme naturally found it’s way into their songs. To yearn is to indure, to count it to die. The other’s son arrives, where is yours? Jinxed is the one who separates the bird from its mother. Get my wish and fall into the sea. My beloved migrated, let me reach after him/her. The beloved’s story is passed in black. The verse transcribed by Toumajan “Your Handkerchief is Dirty” is a tragic story . An interesting fact, the songs recited in Arapgir, Agn and Chmshgadzak are often very similar, they practically sang the same songs with slight differences and each attributed these songs to be their own. These places were not so far from one another and it is natural that there is often confusion about the origins of some song though they are often contributed to Agn . The following is a vivid example taken from the Alakeozlou folk song treasury. Send them for me to wash. Your handkerchief is dirty, send it for me to wash.
I’ll put it on my wet eyes, lay down and sleep. We come across Alakeozlou in only Western Armenian music folklore. It is the product of collective popular musical tradition and in essence, is deeply traditional and ancient. What are known as Alakeozlou songs in Armenian folklore, represent a certain mix of poetry and music. In content, they tell stories of migration and feelings of deep longing. 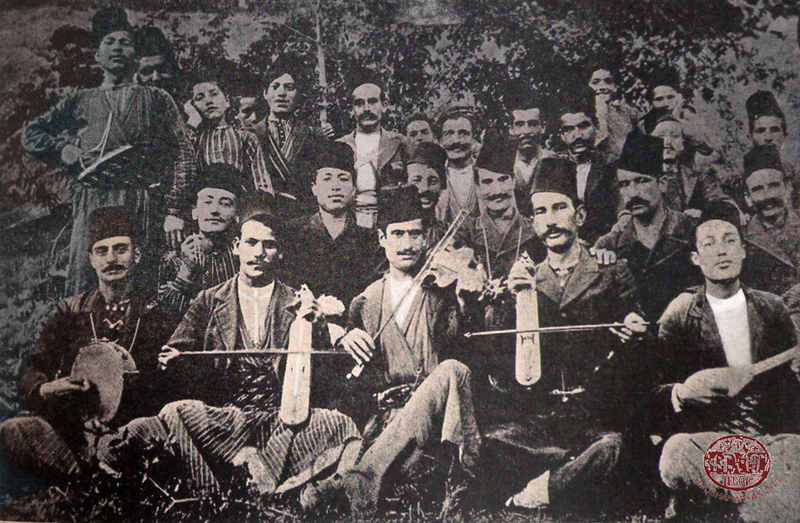 In Poladian’s opinion, some of the songs transcribed by Gomidas that are popular to this day, are a part of the Arapgir musical tradition . Troubadour culture had a special place in Arapgir. Troubarour songs are a considerable part of the humble collection of songs that have reached us. Love was one of the central themes that inspired the troubadours and is one of the main subjects of their songs, though we also come across songs, which discuss social and other matters. The troubadours thought of themselves as common folk and their songs often addressed different social circles with moral lessons, advice on worldly matters; teaching them to differentiate between good and evil. Troubadours also had a mission to praise aesthetics, admiring that which was beautiful, good and true. Philosophical reflections, judgments and conclusions on life were also a part of their creations which often included humor, sarcasm etc. 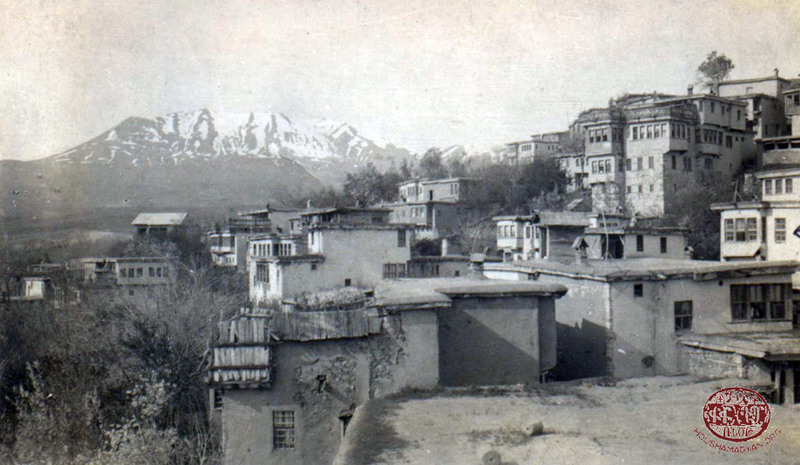 In Arapgir, troubadours mainly sang in Turkish, a mixture of Turkish and Armenian, in Kurdish etc. The names of some Troubadours have reached us like Khridar, Tourapdar, Sel Sefil, Der Margos … who unfortunately are not mentioned in Armenian publications about Troubadours. It needs to be mentioned that very few troubadour songs have survived in writing. There are songs that reached us orally through time and it is only natural that different people recited them differently, subjecting them to change over time. Chronologically, Khridar (or Khrigdar) is the oldest mentioned troubadour from Arapgir. He is assumed to have been born between the years 1720-1730. Khridar is a pseudonym. His real name was Hovhannes Yerzngatsian. Khridar likely means someone who wears old shoes, because in that area, khrig or khrrig meant old shoe or footgear. Troubadours being wanderers, there is the opinion that shoes must have been the most warned item of their clothing. This pseudonym can also be explained in reference to the Persian word Khiriydar meaning skilled, experience, accomplished. It is possible that the “i” and the “y” have been compressed resulting in the word Khridar . It is told that one evening Khridar invites a Turkish friend to his house. Amid the festivities, the Turkish guest kisses Khridar’s drunken wife. Khridar angrily picks up his saz and this is what he sings . Your body slender, royal purple attire. The smell is of quince and pomegranate. A letter to my lover does you harm. After finishing this song, Khridar slams his saz to the ground and leaves his house and his wife that same evening . With a broken heart, disappointed, and crushed, with a heavy heart the troubadour sings “İsyanlıdan kerem, kerem” (Isyanlı or as called Yessenatsioutoun in Armenian, was a religious school of redemption that Khridar was a follower of). Not a confidant is left. He too will confide (in his friend). But in this world, there is one, trustworthy, dedicated being to whom he can rely his pain and sadness . That is Khridar’s mother, he addresses her through his song “ My mother, I have a plea”. The following is the first stanza, which is half in Turkish, half Armenian . Fall on the ground (above me). Where have you gone lovely? Left me stranded here lonely. Did not make another love you? My fires burn more highly. Where have they gone, honestly? A thousand decades with thousand days. A sweet kiss from you. The song “In the beginning the Lord created” (Ibtidaa sdeghdzets Dere)  is noteworthy, where Khridar refers to a Biblical theme. No rust was left in their hearts. Pour, give, let me drink from your hand. The other troubadour is Tourapdar. He was born around the 1750s in Arapgir. His name means earthly, earthen. In Arabic, Tourab mean soil, dust and Dar means house, residence. His real name was Arakel Mamigonents, which is later distorted and becomes Mangigian. Tourapdar was the father of a large family; he had seven children . Many interesting stories about him have reached us, like the following: It is said that when Khridar hears of Tourapdar’s name and fame, he invites Tourapdar to compete with him. They climb up the courtyard of the Oulou mosque (djami), inside the walls of the fortress, take a seat under the plane tree and compete with one another for seven days and seven nights. The competition ends with Tourapdar’s victory . Khridar dubs him a troubadour and gives him his saz . A hundred thousand horsemen is this comer. A heart full of fire is the comer. Stone falcon gazed love is the comer. A slave to pain is the comer. He himself sweet, the language of love is the comer. Does the one who knows books never lie? Unlearned of foul answers is the comer. Khridar from Arapgir is the comer. As we see, both are excellent masters who create and perform their own work. Khridar’s songs are more earthly in context while Tourapdar was more of a moralist, spiritualist Troubadour. Fairness, respect and honor were Tourapdar’s main precept. The following is his message to men. “We are stuck at the end of the world” (Ahrı zemana kalmışız…). This song is too is a call for justice where Tourapdar makes moral judgments about the world. Not a single law abiding officer is left. There is not an honest, civil policeman left. There is no clean craft, a fair earning for the tradesmen any more. The wife does not listen to her husband’s word; this is why times are worst. At seven years old they prey on men, this is why times are worst. 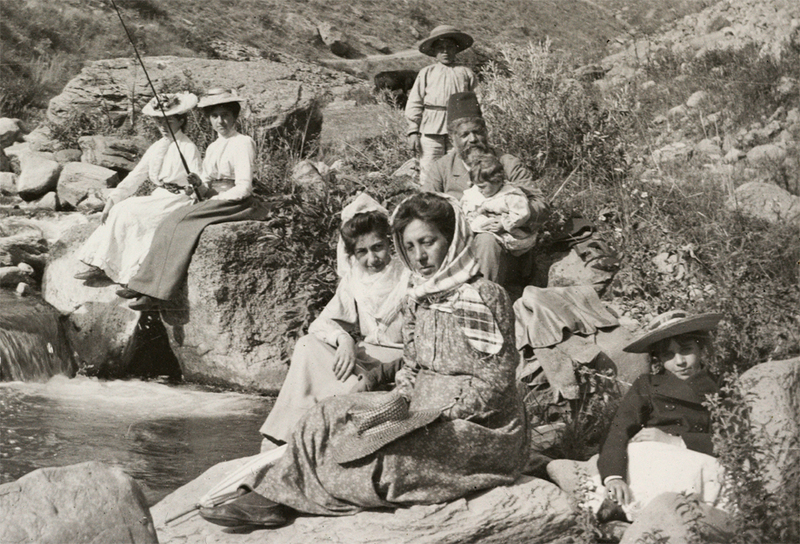 Tourapdar was much loved by both Armenians and the Turks. It is said that when he played, people would forget about the church and the mosque. It is known that he has been exiled to Ourfa but it is not clear how long he stayed there and when he returned . Once, at the marketplace, the Muslims were making fun of Tourapdar. Tourapdar would often make rough and daring remarks about the Muslim religion and for this reason he was beaten and was almost went to trial a couple of times. Urban legend has it that things got to the point that he had to go to Istanbul and stand before the Sheikh Al-Islam and the Sultan. Other than being brave and daring Tourapdar was also resourceful, had a sharp mind, was an adept poet, was a master of wordplay techniques and thanks to this, he was almost always able to talk and perform himself out of similar trouble . Where is the devil in this? The stories about Tourapdar are many. All of them are interesting and unique and all testify to the troubadour’s strange personality and singular character. It is told that, foreseeing his own death; the troubadour organizes his own funeral. People reprimand him for it but Tourapdar stubbornly walks to the graveyard where a religious ceremony takes place and before it is the turn of the burial he says his last words . My body and essence wore out and went. Alas, my tender life wore out and went. Tell them, Tyurapdar was here but then he went. It is not known if Tourapdar was actually buried that day or not . Tourapdar also has love songs so typical of troubadours. “Rose water, beloved, your hair”  where he praises his beloved is a confession of love. Only the Armenian translation of this song is known to us. When has my beloved woken from her sleep? Go around as a beggar in a wealthy world. Shocked by the sudden discovery of his identity, Troubadour Shevkia picks up his saz and immediately returns to his homeland . Derdimi arz edersem ferman olur. If I spoke about my pain, it would be a firman. 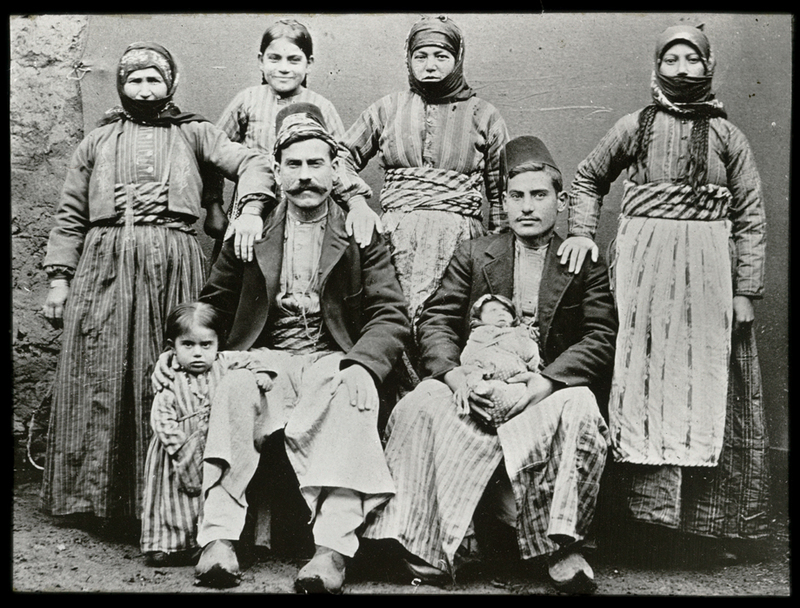 A piece that has reached us from Surma is a critique of the subsidy handed out to people following the 1895-96 anti Armenian massacres. Biz kurtulduk, size ola darısı . They’ve destroyed our land, devastated it. We were saved, we wish the same to you. In his interpretation of this song, Avedis Mesouments writes, “It was a prediction or a prophecy or it was a curse that came true (…) the Kurds too had the same fate, they too drank from the cup of massacre, slaughter and displacement to the last drop”. The following and segments by troubadour Sel-Sefil and troubadour Faouzi. Wicked words repulse us from life. Need a surgeon to cut it open on one side. But may be there still is cure for my wound. Paying tax, giving alms is needed. Spilled red blood, crying is needed. Turning back from a life of sin is needed. Hey~ Favzi, how are you going to give an answer? Even though he does not belong to the ranks of troubadours, the name Mgrdich Der- Bedrosian is worth mentioning. He was knows in Arapgir as a musician and a teacher. He was born around the 1870-s in the village Dzag. 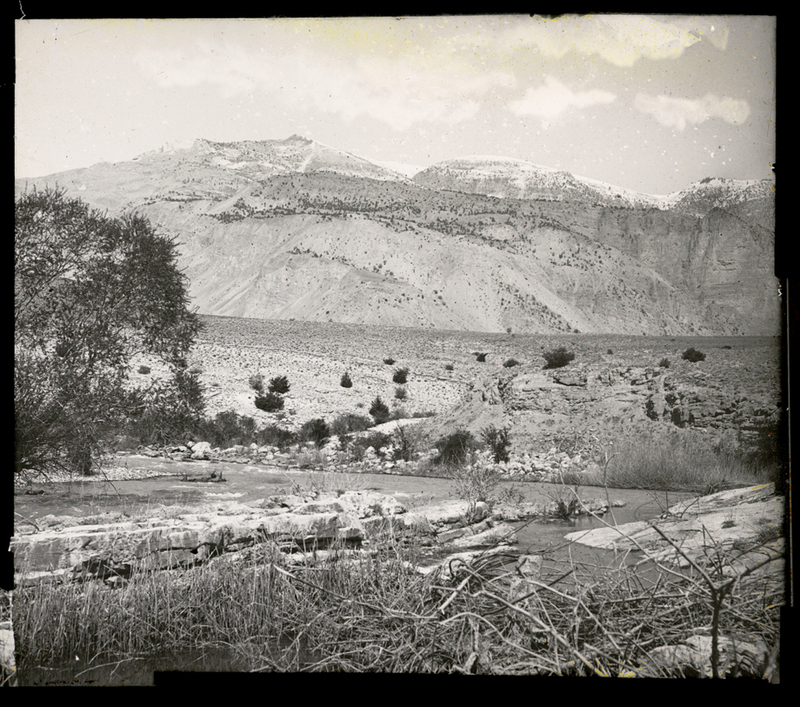 Presumably, he received his primary education at the local St. Nshan school and then in Arapgir, later he completed his education at the St. Hagop seminary in Jerusalem where he was ordained a deacon. He has founded a hundred member, male and female choir performing four part harmonies. He had a beautiful velvety voice . Mgrdich Der- Bedrosian is the author of the words to the song “Hovouyerk”. 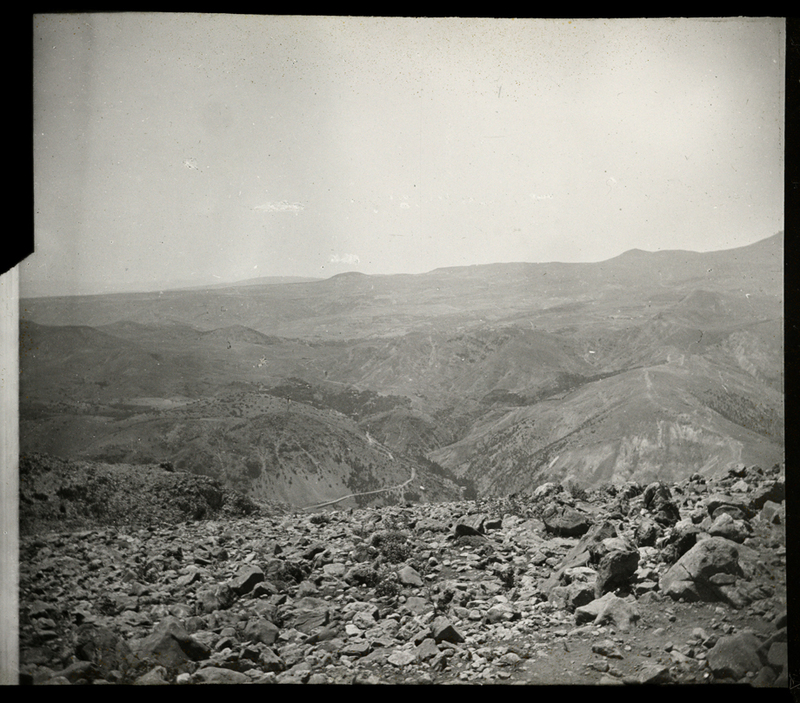 As a sign of respect to the Vartabed, A. Mesouments wrote the music to his words in the 1930-s . It needs to be said that a large part of the humble collection of songs that have reached us were transcribed and arranged by Avedis Mesouments. It is also thanks to his dedicated work that today the music of Arapgir is available to the future generations. Antranik L. Poladian, History Of Armenians of Arapkir [in Armenian], New York, Baykar press, published by the Arapgir Association of America, 1969, page 196. Mihran Toumajan, The Song and Word of the Fatherland [in Armenian], vol 2, Yerevan, ASSR AS (Academy of Sciences) press, 1983, page 362. 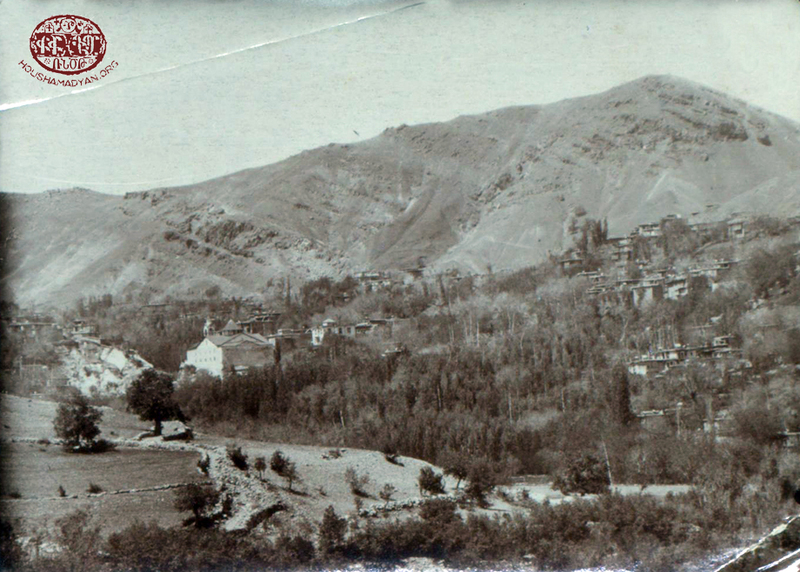 Sarkis Pakhdigian, Arapgir And Its Surrounding Villages, Historic-Ethnographic Brief View [in Armenian], Beirut, Vahakn press, 1934, page 81. R. Ataian, Gomidas, Collected works [in Armenian], vol 9, “Kidoutyoun” press, Yerevan 1999, page 103. Sarkis Pakhdigian, Troubadours of Arapgir [in Armenian], published by the Compatriot Association of Arapgir and Surrounding Areas, Beirut, 1943, page 11. 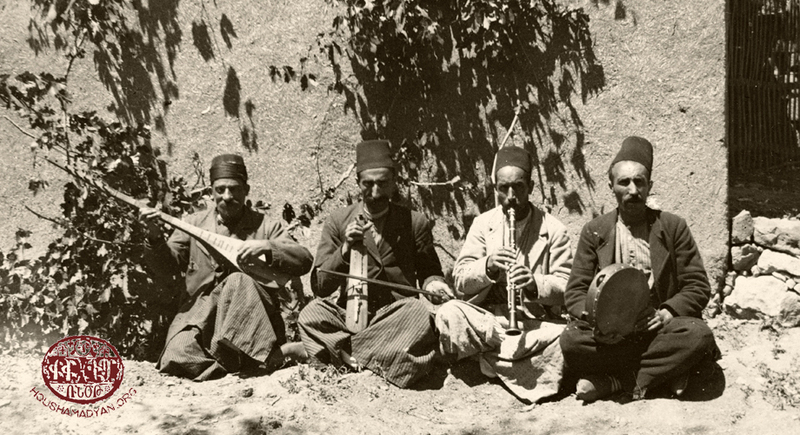 Sarkis Pakhdigian, Troubadours of Arapgir, page 19. Sarkis Pakhdigian, Troubadours of Arapgir, page 28. Ibid, page 28-29; Poladian, page 224. Poladian, page 223 and 262. Sarkis Pakhdigian, Troubadours of Arapgir, page 27. Sarkis Pakhdigian, Troubadours of Arapgir, page 36. We have included various music scores and audible materials in our article dedicated to the songs of Arapgir. Tzovinar Artzrouni has transcribed the music from its original sources and has prepared the audible song content.